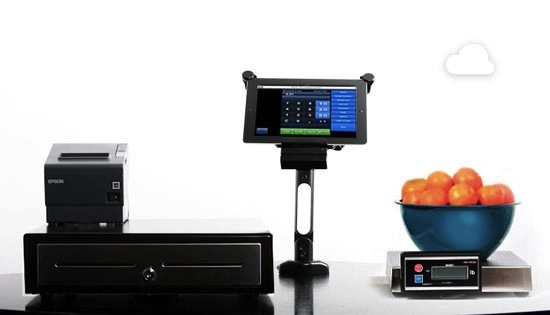 Revel Systems has realized the iPad, already changing various industries, has the power to take cash registers into the 21st century. It’s not just Square that is playing with iPad-based tech to change shopping. Revel Systems just scored an interesting coup that’ll help it transform how American consumers actually shop in stores: Its new iPad cash register system will from now on be installed by Best Buy’s Geek Squad–meaning small to medium stores all the way up to big chain stores will get much faster access to a next-generation cash register, installed by technical whizzes for a more painless experience. The company has only been out of beta test since August, but the firm’s press release notes it’s grown “exponentially” and is “processing millions of dollars with major brands such as Camille’s Sidewalk Café, Popeye’s Louisiana Kitchen, and Twistee Treat.” Those aren’t exactly massive megastores, but they are household names for millions of people, and Revel is in at the ground floor of these companies with its iPad-based system. 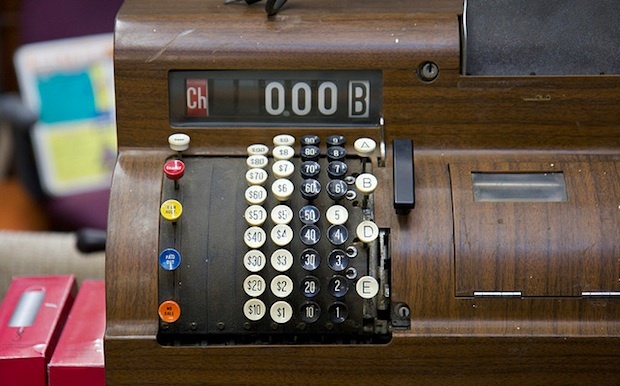 The idea is simple: Cash registers, even the newer touchscreen computer-based ones, are bulky, old-fashioned, expensive, and not particularly reconfigurable on the fly. They typically involve a large number of expensive pieces of hardware, with cash drawers, the registers, credit card machines, and a central management computer all connected up in a complex way. But the iPad is small, powerful, cheap, comes with a built-in touchscreen and intuitive UI, and is naturally good at networking. And that’s what Revel’s system makes the most of: iPads can be used as the employee-facing part of a point-of-sale-system, with a touch interface that each store can configure to meet its needs with a simple drag-and-drop management software. The iPads interface with credit card readers and standard cash drawers, but are small, cheap, and reliable–and they deliver data to a central database so management can view transaction information, and peruse a suite of analytics about their business. Because the app is user-configurable, it’s also possible to use it to help with payroll management, inventory tracking, employee time-system management, and even esoteric things like a daily menu change in a restaurant. But there’s another mode Revel’s iPad system works in: Customer-facing “kiosk mode.” That means the same intuitive, customizable UI can actually let consumers choose their own order (right down to picking ingredients in some food stores) and pay for it at the iPad interface. That offers all sorts of potential savings for small business, who may need fewer employees actually in the customer-facing part of their store, and it could mean faster ordering for customers too. In particular Revels’ solution offers the “speed of a local system but the benefits of a web-based system.” And to back it up Revel has an open API, so they’ve gone into partnership with existing payment firms, and it means the system is highly flexible. It’s also got integrated networking, which means chain stores’ systems all communicate so central management can see how sales are doing on a store-by-store basis. As Falzone notes, this means they’re “not going after Square’s market, which may be street vendors and so on,” instead targeting bigger firms with more revenue. That’s all well and good, and Revel is likely to achieve much success and its customer list is growing as stores see the benefits of a cheap and flexible system that transforms their point-of-sale tech, but what this actually is is a sniff of the future of shopping. Twistee Treats, one of Revels’ customers, has for example noted that people are using the iPad system preferentially “because they’d rather type their order in to a kiosk than speak to a cashier,” as Falzone explains. And in terms of mobile payments, the idea is to adapt Revels’ core code to allow mobile pay solutions and even mobile ordering before you arrive at the physical store, perhaps a little like Apple’s EasyPay iOS solution. 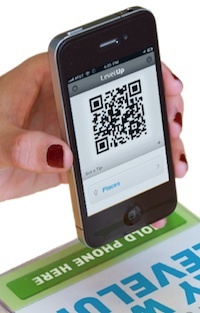 The firm is already partnered with a firm called LevelUp, which lets you quickly pay at next-gen cash registers by simply having the register’s camera scan a unique QR code on your smartphone’s screen–for Revels’ iPad solution, with its built-in webcam, that means the entire cash register could be just the iPad, with no extra peripherals to take a payment. That sounds subtle, but think about the complexity of a standard cash desk nowadays, with custom boxed hardware to print receipts, process your card and so on–if all you need is a wired-up iPad instead, you can completely streamline your cash desk. And even take it mobile, with emailed receipts and other solutions that depart from the way we pay for things right now. This sort of system is also prefectly married up to the idea of mobile payments using NFC wireless tech, which Revels’ app is already compatible with. And, interestingly, Falzone pointed out that so far her system is selling pretty much on its own merits, with customers actively seeking it out…which means that though other aspects of payment tech are maybe lagging, stores themselves are desperately keen to get this technology into your pocket sooner rather than later.